Total Score: 8.67 - EDITORS CHOICE + BEST VALUE! 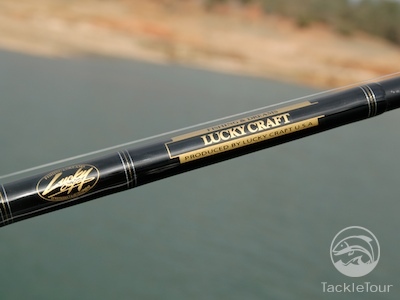 Introduction: After several starts, stops, and rumored OEM sources, Japanese Lure Manufacturing giant, Lucky Craft has finally landed on North American Shores with their own line of fishing rods. As a detail that I’m sure comes as no surprise to anyone, each of their rods are not just technique specific, but Lucky Craft lure specific. 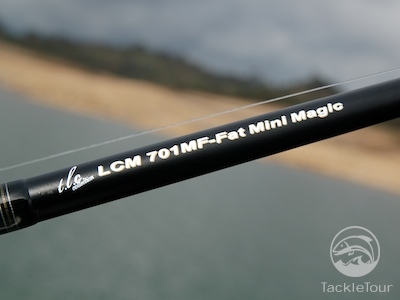 Introducing Lucky Craft's entry to the TackleTour 2009 Crankbait Rod Wars, the 701MF Fat Mini Magic. Impressions: To be honest, when we first heard of the latest rod offering by Lucky Craft, we were not very excited. We know they’ve been trying to crack the rod business for several years now, but with so many companies in this space, and with Lucky Craft’s strength being in lure manufacturing, the question that kept coming up in our minds was why? So, when it came time to fill out our rosters for the Crankbait Rod Wars, Lucky Craft could not have been further from our thoughts. But then they did the unthinkable. Originally specified at a manufacturer’s suggested retail price of three hundred fifty dollars ($350), Lucky Craft lowered their prices to between one hundred fifty to two hundred dollars. We caught wind of this price reduction and immediately snatched up one of their rods for inclusion in our Rod Wars. Fig. 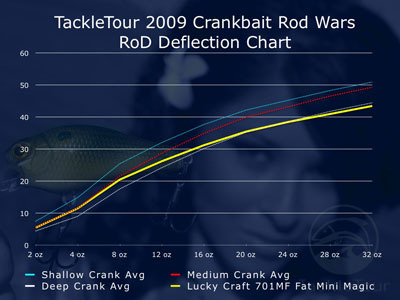 1 : This RoD Deflection Chart shows the deflection characteristics of the LC 701MF (yellow curve) versus the overall average for all of our Crankbait Rod Wars participants per category. You can see by the curve that the LC rod starts out matching the medium cranking rod average but quickly delivers in the power department more akin to the heavy crankers. Upon arrival, the first thing I looked for was an indication of where the rod was made. The original MSRP, let alone the new, blowout price on these sticks are an obvious indication the rods are not made in Japan. Unfortunately, there are no clues either on the rod itself, or from Lucky Craft directly (our inquiries were left unanswered as usual) of where the rods are manufactured. For the price at which we acquired the rod, this detail is immaterial, but from the perspective of building trust and loyalty with your customer base, the choice to conceal this information leaves us dumbfounded. 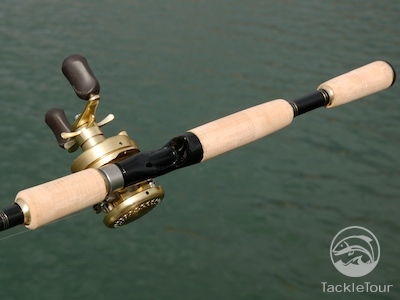 Lucky Craft's rods match beautifully with the Calcutta and Conquest series of reels from Shimano. Real World Test: The Lucky Craft 701MF was one of the many sticks to accompany us in our trim to El Novillo Lake in Mexico earlier this year, so it's seen some extensive duty. 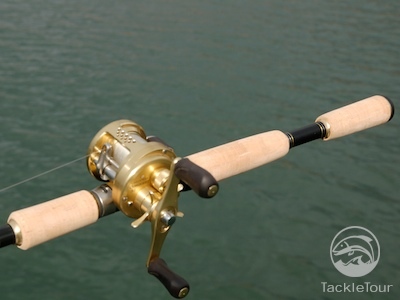 This rod has also participated in our 2009 High Speed Reel Shootout paired primarily with the new, Shimano Chronarch D. Of course, the reel that matches the 701MF more closely for regular duties is our old favorite, the Shimano Conquest 51. The rods proudly state "Produced by Lucky Craft USA" but there are no indications on these rods of their country of origin. The LC rods are not only technique specific, but as one might expect, they are bait specific as well.